Is Halle Berry pregnant? Well Life & Style sure thinks so. If she is, she will have some beautiful babies …look at Nahla…totally gorgeous. What do you think? Kellan Lutz & Ashley Greene May Get NYC Pad Together? Naya Rivera and Lea Michele Fighting On Set? Kanye West: Awkward Kris Jenner Interaction Highlighted In W Mag Interview! Justin Bieber Almost Quit Music Over Paternity Scandal! 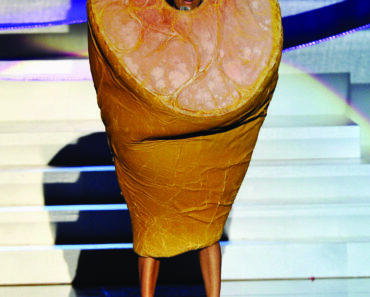 Eva Longoria is such a Ham, Goes Pantless at MTV EMAs! Marc Anthony & Heiress Chloe Green Spotted Together Again!